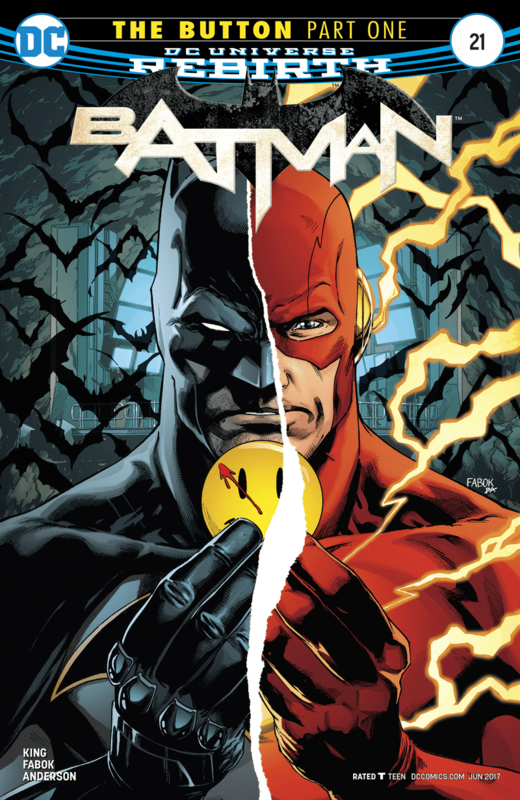 THE BUTTON storyline begins and its an insane crossover with THE FLASH and the first part begins in this week’s issue of BATMAN. 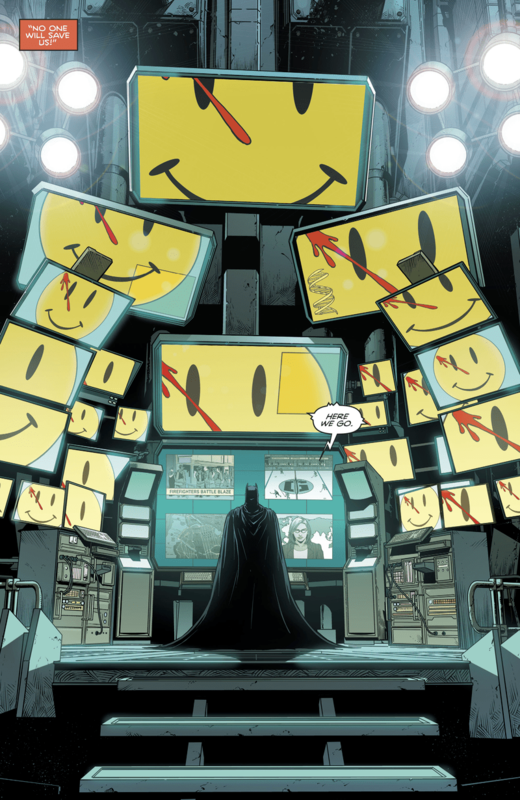 Here’s our Batman # 21 Spoilers; The Button Part 1. 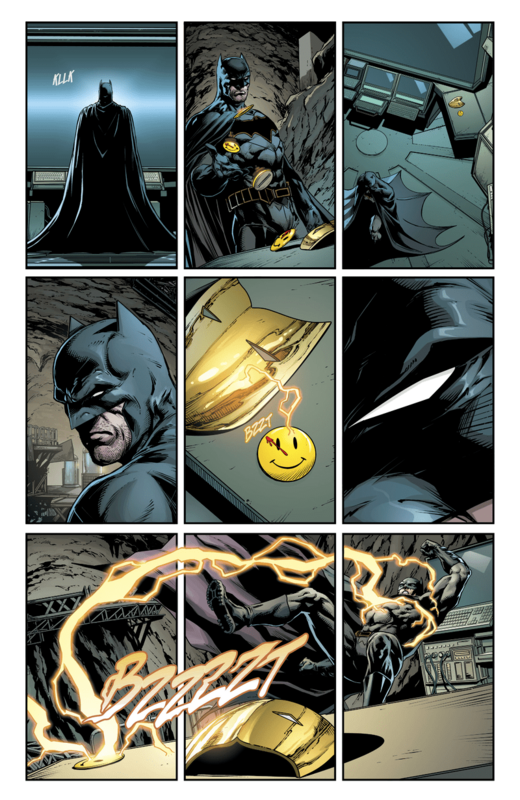 And if you’re curious why Batman and The Flash are working together and why they have The Comedian’s bloodied button from ‘Watchmen’ then you must pick up DC Rebirth Universe. 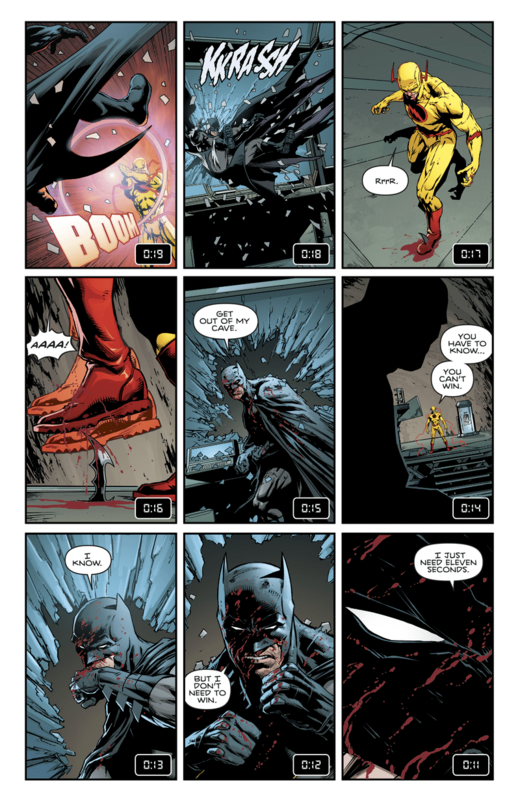 For this Batman # 21 spoiler, we have to thank Tom King and Jason Fabok for the wonderful issue. 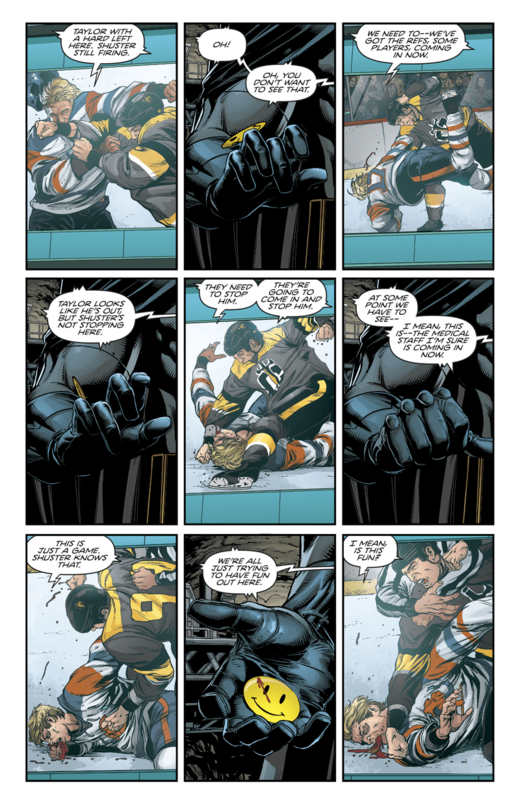 The issue begins with a hockey match that’s being seen in Arkham and a patient that goes mental spouting some at this point in the issue nonesense. In another part of the Gotham City, Batman is in the Batcave and he’s watching both the match and started investigation on “The Button”. 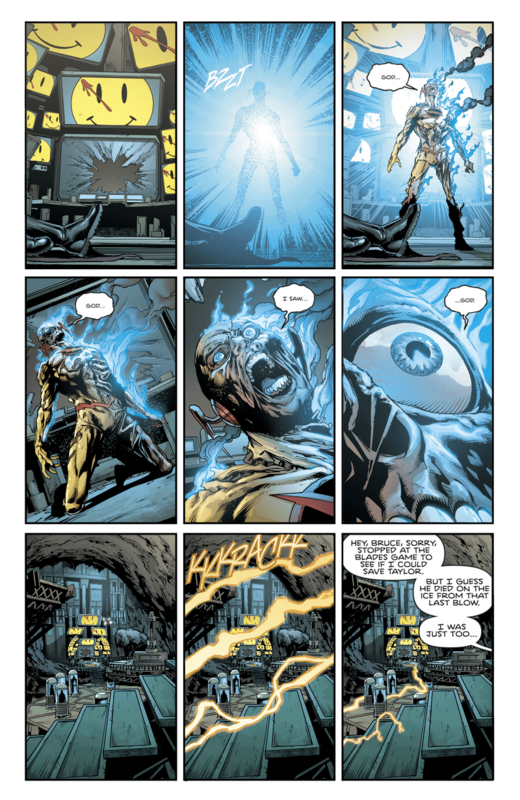 Bats accidentlly drops the button and it reacts to the Psycho Pirate mask lying around the Batcave. 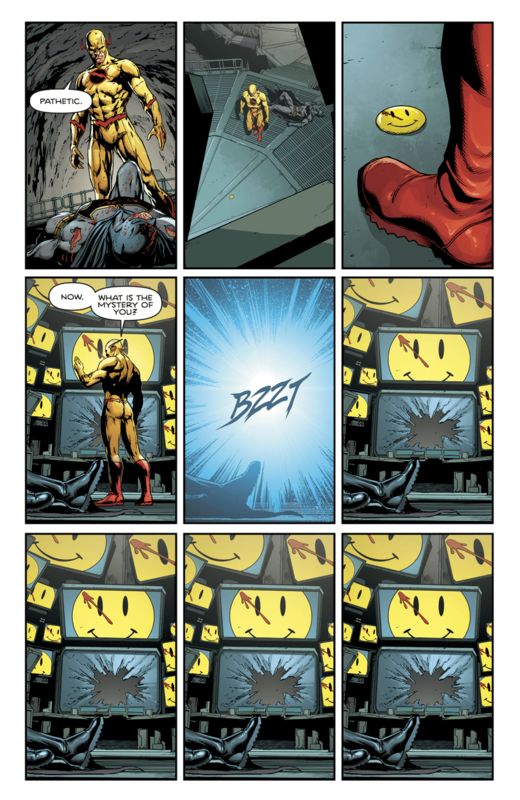 Remember Psycho Pirate back then and until now taps into the multiverse and that somehow rings true even for an item that came from the Watchmen universe. 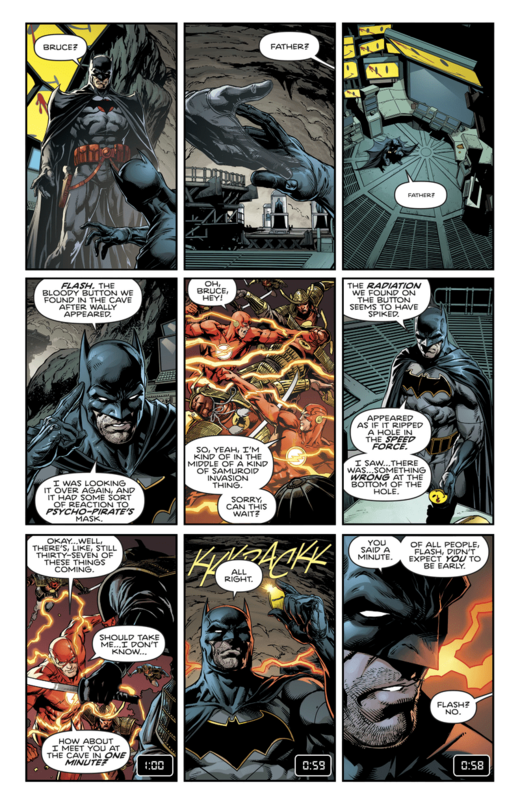 Getting thrown out for a bit, Bruce Wayne Batman encounters Thomas Wayne Batman from the Flashpoint alternate reality. 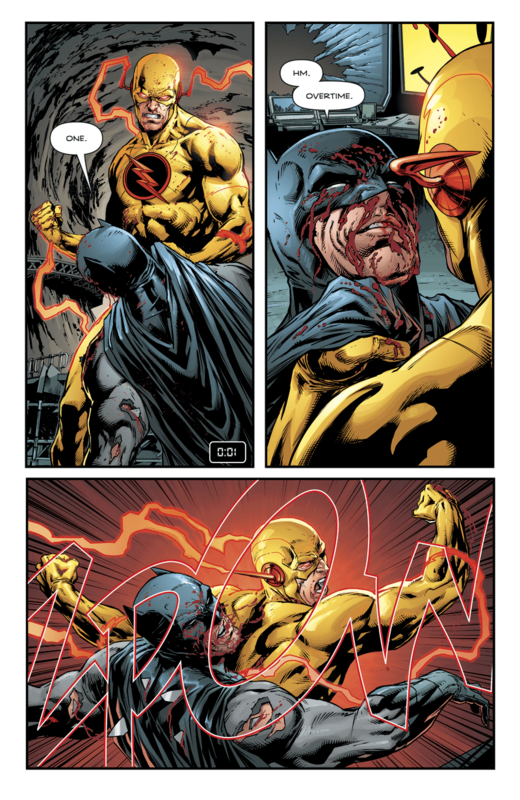 Then Batman gets beaten up by what he initially assumes is The Flash (which is not and was actually Reverse Flash back from the dead). 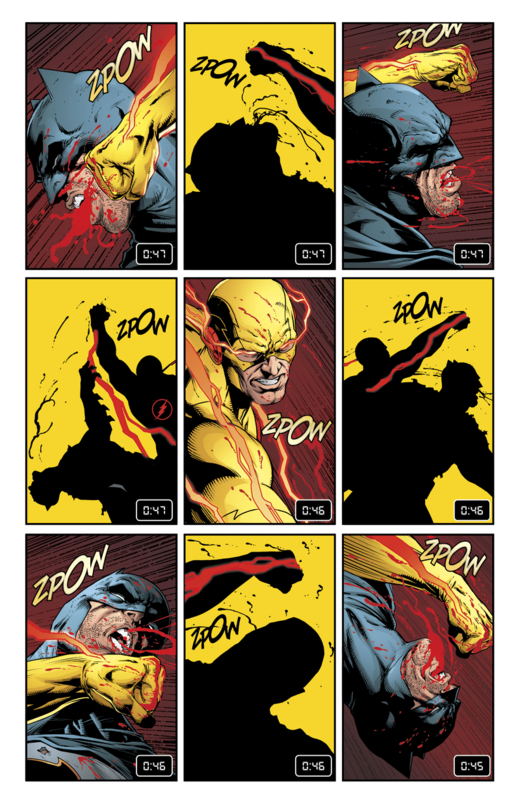 Batman gets beaten up a lot in this issue, like they dedicated three to five pages of exposition while showing Bruce getting pummeled in a lot of different ways. We also need to be aware that there’s an actual timer here because Flash was expected to arrive within a minute. The Button also aims to be the bookend to Flashpoint by (a) “removing” certain things which proves that that timeline even happened, like Thomas Wayne’s letter to New 52 Bruce Wayne. Thanks to the dastardly deeds of Reverse Flash. 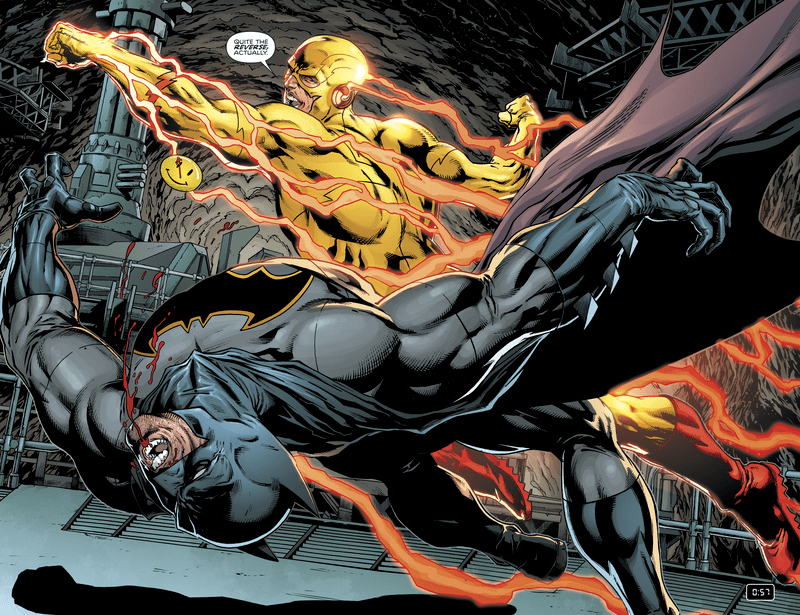 Batman manages to injure Reverse Flash by stabbing his foot with a Batarang. Oh and he also manages to show how much he’s a badass by only asking for 11 seconds to last against the yellow-clad speedster. What happens next is a sad time for Batfans as he’s getting bloodied with every second that slips by. 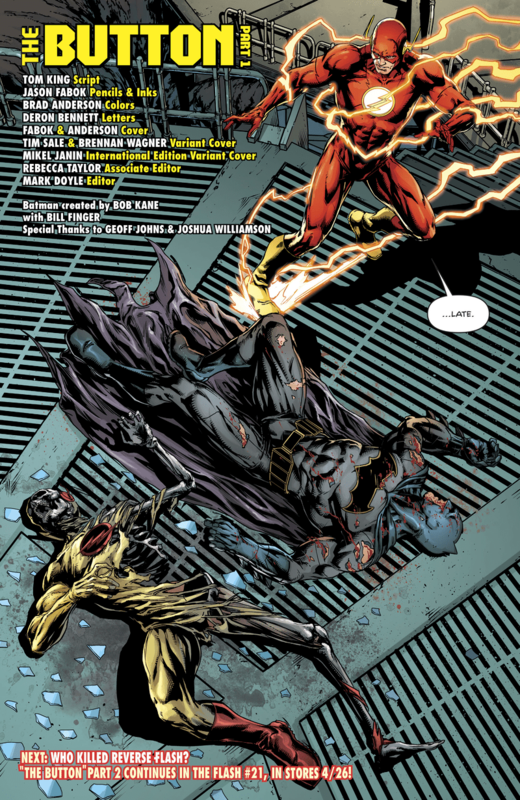 That late idiot Barry Allen arrives in the Batcave only to find a bloody, beaten Batman and seemingly dead-again Reverse Flash. Batman # 21 spoilers definitely made me want to pick up the physical copy. Unluckily, the issue’s pretty much sold out with the lenticular version even selling out faster than a speeding bullet. What if Pinoy Celebrities were Supheroes?